What do you think about 2K’s reveal so far? Are they getting it right? Share your thoughts in the comments below. 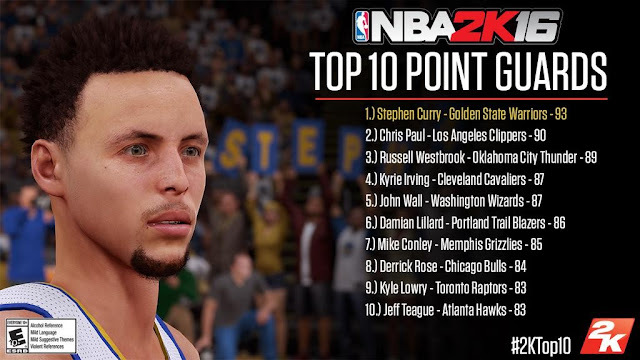 Check back in the following days as more NBA 2K16 player ratings are revealed. The game will launch on September 29, 2015. It will arrive on the Xbox 360, PS3, PS4, Xbox One and PC.